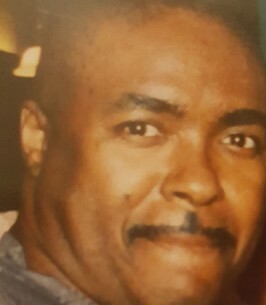 William Allen Service Details - Greenville, South Carolina | Watkins Garrett & Woods Mortuary Inc.
Mr. William Major Allen, 61, of Taylors, South Carolina, departed this life on Sunday, November 4, 2018, at St. Francis -Downtown Hospital. He was born on July 13, 1957, to Mary L. Walker Allen and the late William Archie Allen. He was a graduate of Lincoln High School and worked at Dill Fabrication Company for twenty dedicated years. He was a wonderful father to his son. Major was preceded in death by his father and his wife of over thirty years, Paulina Hernandez Allen. Surviving in addition to his mother: his son, Dearson Isaias Allen of Los Angeles, CA; two sisters, Priscilla K. (Konda) Sullivan of Sussex, VA, and Lydia D. (Clay) Gay of Greenville; one brother, Pastor Orlando (Felecia) Allen of Taylors; and a host of other relatives and friends. I am sorry for your loss of your love one, Mr. William Allen. May the God of all comfort sustain each one of you during time of grief. 2 Corinthians 1:3,4. Sending prayers for your family. May God bless you with with strength and comfort you in time. Sorry for your loss. Major had a heart of gold and will be missed.God has given him his golden wings to match his heart.